To print or download, click here. The motion calls for Metro creating an implementation plan for using electric buses on the Orange Line by 2020 and a study to determine the feasibility of using electric buses on the Silver Line. A friendly amendment calls for studying adding electric bus infrastructure to El Monte Station — which serves as one terminus of the Silver Line. Board Vice Chair Eric Garcetti said that another benefit of going electric would be to eliminate noise pollution — buses powered by compressed natural gas (CNG), he pointed out. Metro’s bus fleet that the agency directly operates is entirely powered by CNG. Said Board Member Diane DuBois: “I want to know what the carbon footprint is of creation of the batteries,” along with many other questions, including potential medical care for Metro employees who handle the batteries. She said she commends the effort but wanted to ensure the agency covered all its bases. Garcetti said that he wants to explore all those questions but it’s also important to consider how natural gas is mined and collected (i.e. fracking). The big caveat is that a funding source will need to be found to purchase the electric buses. There was also tons of public testimony on this item. A brief synopsis: the environmental community likes the motion, the natural gas industry folks…not so much. •The agency received a $10.5-million federal grant for the purchase of 30 near-zero emission CNG buses. CNG is compressed natural gas that burns cleaner than the diesel buses of old. •The agency received a $1.875-million state MSRC grant to install near-zero emission CNG engines in 125 buses as part of their mid-life overhauls. •The agency received the 900th and final New Flyer CNG-powered bus on its current order. Which bus? BYD k9, the bus which Hong Kong’s KMB company returned after less than a year due to the battery already worn 20%? No, they don’t want the buses. And they cant return the buses to BYD. It’s kept in storage until someone else buys it. So the buses are in a Depot near Shenzhen since 2014. It’s my understanding that Metro would like to only buy all of their buses from one bus manufacturer to keep things less complex for training and maintenance. That would mean that the battery powered 60-ft articulated buses from New Flyer should be the preferred choice. 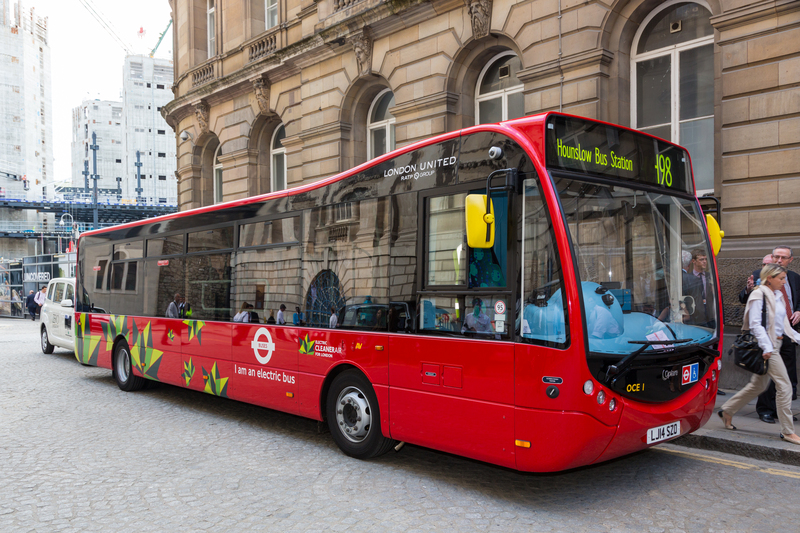 The problem is that Metro wants the buses to be able to run 170 miles on battery power and the New Flyer battery powered buses can travel about 140 miles on one charge. This can be overcome with in-route 10 minute recharging times at the stations at each end of the two routes. Another dilemma is that the Orange Line needs longer 80-foot bi-articulated buses to comfortably handle larger passenger loads and yet no bus of that length is manufactured in the U.S. I’d suggest that Metro talk to New Flyer about making a custom 80-foot bi-articulated bus, exclusively for the Orange Line, based on their current 60-foot articulated bus design. Metro could also purchase 80-foot buses from a foreign manufacturer, but that would mean the federal government wouldn’t pay for any of the purchase price if the majority of the buses construction is done outside of the U.S. It would likely mean a big jump in price, over the 60-foot battery powered bus, to cover the research and development costs for New Flyer to produce a longer 80-foot battery powered bus just for the Orange Line. Considering that the Orange Line cost considerably less to build compared to a light-rail line, any additional costs in obtaining 80-foot battery powered buses would be a bargain compared to converting the line to light-rail. Or they can get double Deckers. Why not electrify the Orange Line ROW with overhead traction power… wouldn’t that be the most simple way to prepare for LRT conversion (eventually) and also overcome many of the concerns about the enviro impact of making batteries? Again I won’t suggest converting the Orange Line to LRT because it will disrupt the current service. I prefer Metro to add another rail line in the west SFV to serve the places that are not covered by metro rail at this moment. I guess some 80 ft buses mix with 60/65 ft electric bus for the orange line is cool. I believe the MTA has twice experimented with Electric Buses. The first time around 2010 and those four or five buses are sitting at Division 12 with old buses slated for sale. The second time was about a year ago and those buses were returned to the manufacturer. I’m not sure about the first batch. They saw service for sometime but the second batch were unable to complete their assignments each day due to having to be re-charged prematurely. Nabi, the company that produced all the articulated buses prior to be being bought by New Flyer, the current builder of the newest buses, produced a 80 foot bus modified from the 60 foot bus design. From my understanding certain management personnel were unhappy with it’s length and wanted to shorten it to 60 feet. Electric buses utilizing overhead power lines as we see used extensively in San Francisco might be a good idea except either the overhead lines would have to extend to Division 8 and all pull-outs and pull-ins would have to utilize the Chatsworth terminal and route or CNG engine could be also installed for “Out of Service ” trips. Electric buses as described were considered for the Vermont Ave. Line previously. A problem in San Fransisco according to my brother, a former commercial big rig driver, was the top of the semi’s coming in contact with the overhead wires. Lastly, Double Deckers. The RTD had them and they were used traveling from the San Gabriel Valley to Downtown L.A. Besides the unique mechanical issues, none were wired the same, trees were a big problem that overhung the streets. Yes, it was Operator error, but still a lot of upper windshields were damaged. Plus I don’t believe a Double Decker holds as many passengers that a articulated does. Electric Buses: Sounds like more great innovation by MAY. I hope the public doesn’t get screwed some how. I’ll just point out that the “near-zero emission CNG buses” they are purchasing/upgrading are only “near-zero” for NOx gases, not for green house gases. They appear to be a real improvement over earlier CNG engines and over diesel. But they are not really “near-zero emissions” in the way that electric buses at least have the potential to be.